Raising money for Kidneys For Life by Playing Golf! 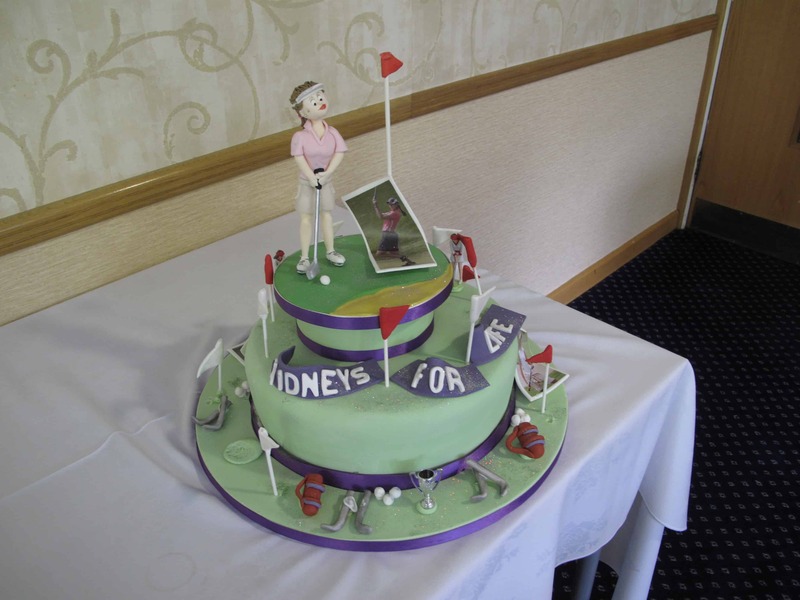 When I was asked to be Lady Captain of Dunham Forest Golf Club in 2012, and to choose a charity for my year, I immediately thought of Kidneys for Life, having worked for 23 years as a Renal Social Worker at Manchester Royal Infirmary. We have begun the year with a talk from Professor Paul Brenchley, about the Charity’s work. I am giving each member a golf ball with the Kidney’s For Life logo on it. We have a Charity Day Competition planned and an Open Day raffle. I have a named charity bunker and those ladies that land in it give a small donation! I hope, by the end of my year, to have raised money for the MRI Renal Units and to have made members of the Golf Club more aware of renal issues. Kidneys for Life would just let to say a final thanks to Gail who over the course of her year as Lady Captain at Dunham Forest Golf Club raised £2,070.55 so our appreciation goes out to everyone who helped achieve such a fantastic donation.